What’s new in materials science for the automotive industry? Ultra low emission, eco-friendly and high efficient cars have begun to make their way onto our roads. Using revolutionary new technologies and some tried-and-tested design practices, the impact automobiles have on our environment is decreasing. But what are these new technologies? How are they impacting automotive designs? What are the new developments in materials science that are going to ensure the lightweight momentum is going to keep up? In this article, we’ll take a look at several ways new materials science findings could be impacting automotive designs in the coming few years. As vehicles seek to become more efficient in their use of fuel, whether electric, gas or diesel, lightweighting projects have stepped up a gear. Light alloys like aluminium and magnesium can significantly cut the weight of a motor or engine; slashing a vehicle’s mass and consequently increasing fuel efficiency. In fact, for a 10% reduction in vehicle weight, a 7% increase in fuel efficiency can be gained. Of course, lightweighting is not only a concern in the short-term for gas-powered vehicles. Rather, lightweighting advancements have major implications for electric vehicles, where lighter cars could ease the range anxiety concern that could be preventing consumers from adopting EVs so readily. Many EV manufacturers, including Tesla and BMW, have ditched carbon fibre for better performing light alloys, which at the moment mainly includes aluminium. The chassis and body on Tesla’s Model S is made almost entirely of aluminium. But magnesium is catching the eye for many auto manufacturers, thanks to advancements in coating technologies which are making it suitable in high-wear, high-corrosion risk and high temperature applications. But carbon fibre isn’t being ditched completely. Once unthinkable for any application under the hood, the development of carbon-fiber-reinforced plastics (CFRP) has revolutionised the properties of plastic – not least its reaction to heat and heard-wearing. What’s more, due to CFRPs ability to be 3D printed, it could prove a ultra-cheap method of reducing weight for vehicle parts in less intensive applications in the future. Yet it is not merely panels that can be enhanced with lightweight materials. Keronite’s materials scientists are engaged with automotive manufacturers in applications as vast as active suspension systems, brake discs, electrical systems, pistons, housings and potential 3D-printed manufactured parts. Electric vehicles should be able to reduce the maintenance and running costs for their owners. For one, they have fewer moving parts than internal combustion engines (ICEs), which means concentrated efforts can be made to suitably protect those parts – resulting in less maintenance, a longer lifespan and reduce costs for owners, huge benefits for any prospective owner. Simple isn’t always better, though. And this ultra-efficient design of electric vehicle motors is predicated on the materials being able to keep up. For a while, there may be fewer moving parts, but each needs to work more intensively, over a longer period of time, all while producing a lot of heat in a concentrated space. 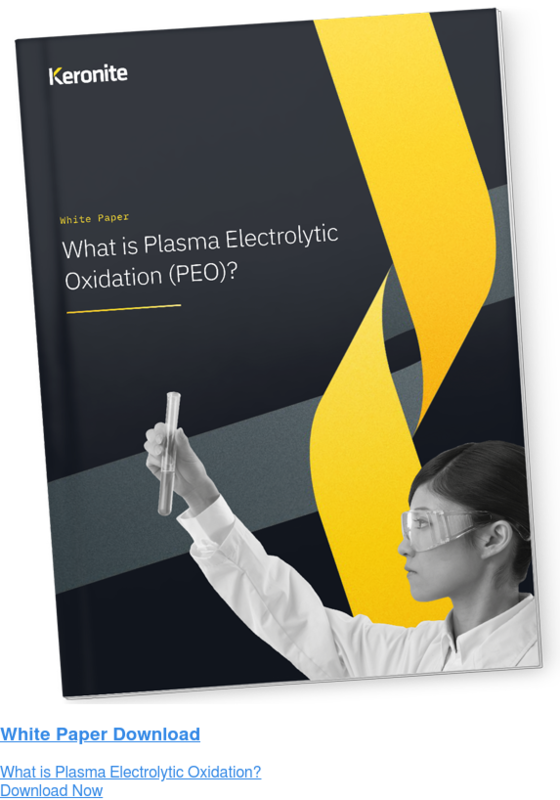 Thankfully, alongside lightweighting, surface coatings like plasma electrolytic oxidation (PEO) are able to greatly extend component life in whichever application is required. Batteries in electric vehicles retain their efficiency surprisingly well. Even after 500,000 miles it’s estimated a battery will only degrade about 20%, leaving 80% battery retention. Despite these promising figures there is still much work that can be done around discharges and temperature fluctuations. The use of new materials in batteries will be at the forefront of optimising battery efficiency, and thus charge times and range – the keys to mainstream consumer take-up of EVs. 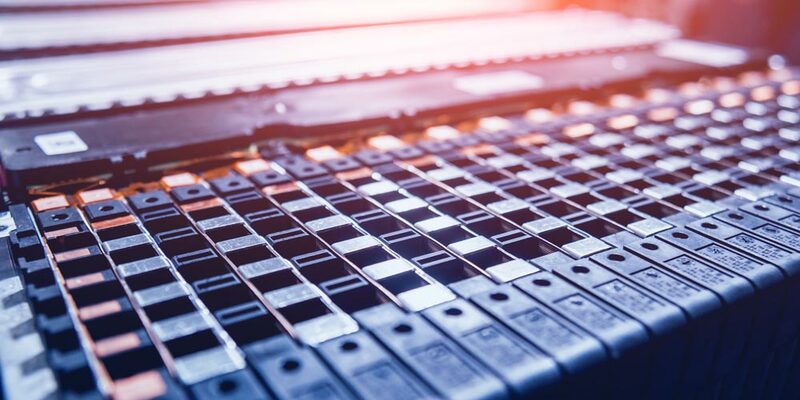 What’s more, with the fluctuating price and availability of rare earth metals, those traditionally used in vehicle batteries, the need to find new alternatives has never been greater. Surface coatings which enable greater heat management while ensuring longevity and reliable performance could play a role in enabling future battery innovations, which is an area requiring more research from key industry figures. In recent years cobalt has been the metal that many manufacturers have leaned towards. But with breakthroughs in surface coatings now mimicking many of rare earth metals once exclusive properties, that could be about to change. Researchers at the University of Texas have developed a new tin-aluminium anode which could double the charge capacity of lithium-ion battery anodes. Automotive manufacturers of all kinds, from high-tech Formula 1 teams right down to high-volume economical passenger vehicle manufacturers are set to benefit from advancements in materials science. Keronite’s coatings are used throughout the industry and are helping to increase the performance of ultra-light alloys such as aluminium and magnesium in brand new use cases. The characteristics of the coating are such that they allow their use in testing corrosive, wear-inducing and thermally challenging environments. If you have an application that requires a high performance coating to enhance light alloy performance, or are considering using a light alloy in a challenging environment, speak to Keronite’s materials scientists today.